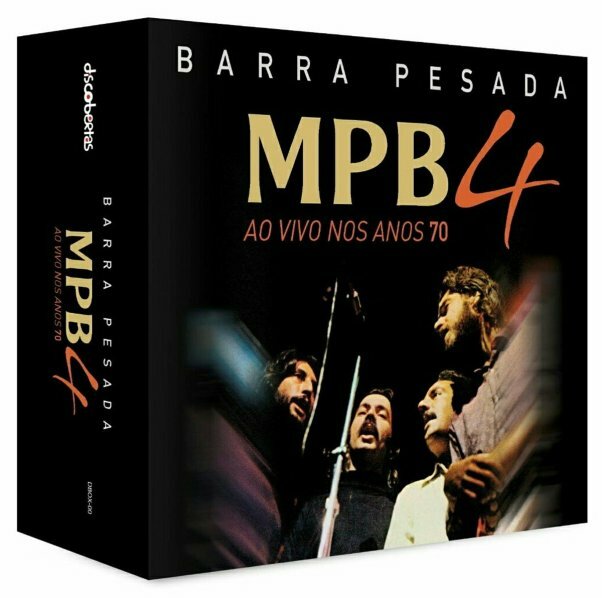 A really heft collection of unreleased live recordings by this great Brazilian vocal group – one that almost seems to double their catalog of albums from the 70s! MPB4 got their start in the 60s, at a time when Brazil was really in love with harmony styles borrowed from American groups like The Hi-Los and Four Freshmen – and while many of the other Brazilian groups used the vocal modes in a bossa style, MPB4 were always able to take things one step further – often going for musical modes that brought a different sort of complexity to their harmonies, which only increased as the group moved into the 70s! You'll hear plenty of that here – as the live recordings mostly just feature their voices with a bit of light percussion and acoustic guitar – leaving plenty of space for their amazing vocal interplay right up front in the mix. The set features five full length concerts on CD – two recorded in Peru, one in 1973 and one in 1974 – plus sets recorded in 1975 and 1976. © 1996-2019, Dusty Groove, Inc.